Why do I like my Amazon Kindle Fire so much? For the money, the Kindle Fire is an unbelievable bargain. The Kindle Fire is a media device that offers a very satisfying user experience at a very reasonable cost. My new Kindle Fire recognized and immediately connected to my home WiFi router. I only needed to enter the WiFi security code on the first connection. 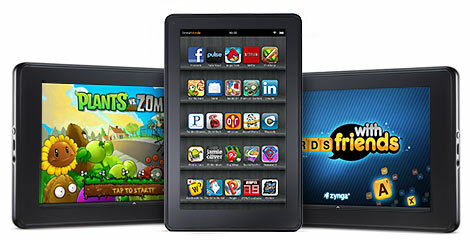 Thereafter, the Kindle Fire connects automatically anytime it’s in range within the house or outside within range. I’ve had no problems accessing the secured WiFi Network and it also works well with my Verizon Wireless Hot Spot giving me 3G service when needed. It’s a very fast device given adequate bandwidth through any WiFi area. It is exceptional when used for access to the Amazon Cloud, Audible and Amazon shopping, reading and web browsing, email, apps and things of that nature. It is truly outstanding with Amazon Prime on-demand videos; fabulous color with awesome resolution and great sound when it is paired with a nice set of headphones. The Kindle Fire works seamlessly with my Audible library, a feature that I have grown very fond of, ok-ok a feature that I absolutely LOVE! And of course, the Amazon Kindle Fire is also an extremely good e-reader, very clear, sharp display for reading. The 7 inch screen may sound small but it is offset by the clarity. It works exactly as advertised. It provides fast, seamless integration with Amazon content and the Silk browser adds to it’s versatility. Response time from the Cloud or other streaming source seems just as fast as if content were on a local hard drive or DVD. 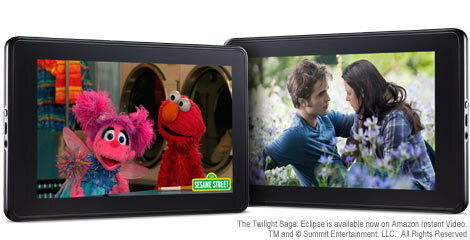 The Kindle Fire does everything it is advertised to do and more. I have had my Kindle Fire for a several months and here is a list of simple things you can do with your kindle fire to get you started and acquainted with it. Check out some entertainment apps (Hulu, netflix, pandora, TuneIn Radio). Transfer your favorite music from your PC to the Kindle. Use the Internet to browse the web. Read email or online newspapers, periodicals etc.. for Free. One thing you will enjoy is how intuitive the Kindle Fire is. The keyboard may take a few minutes to get used to, if you’ve never used a tablet keyboard before, but it’s very slick and works great! If you’re looking for a nice Tablet PC, but don’t want to spend $500, I suggest getting the Amazon Kindle Fire. It’s fun, intuitive, practical, and wont break the bank.